Spring is most certainly in the air and brides are embracing all that this season has to offer!! Traditional styles flirt with today’s trends to create this seasons hottest bridal hair styles. Here’s a round up of a few of our favorites with nods to spring through personal touches. It can’t possibly be a surprise that these delicate floral details would be at the very top of our list!! Braids, the stress free alternative to the traditional bridal up-do, timeless, classic, romantic and versatile! They work with virtually any length of hair and compliment just about any wedding style. Dress up your do with delicate accents to make your look uniquely yours, we absolutely adore a simple headband or jeweled accents to tie your completed look together. For longer trusses we’re loving loose curls with layers of lovely added for plenty of contour and edge. 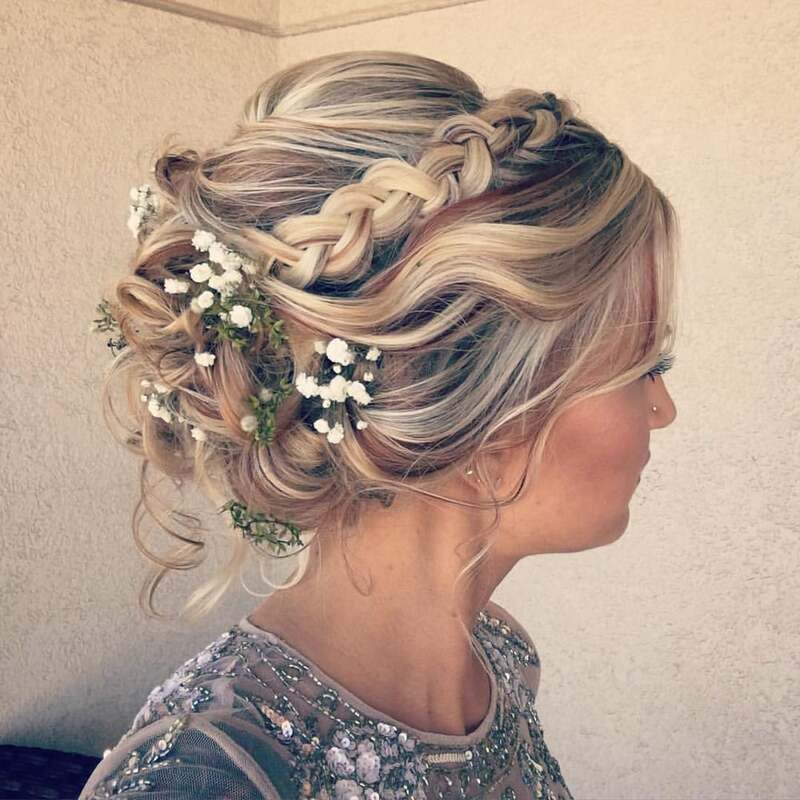 From braided crowns to half up and half down these styles are charmingly stunning and enchanting. No matter the look your trying to achieve for your wedding day remember you’ll want to look back and see YOU not a trend. If a statement look is what you’re looking for stick to highlighting one or two of your features to bring some depth to your everyday look. Hiring a professional makeup artist, such as Makeup In The 702 for your wedding is an absolute must have for your wedding budget. A professional artist can help guide you in the decision making process to ensure you are camera ready on your big day. Bonus tip! The Makeup In The 702 Guarantee! 15 hours of water and transfer resistant makeup and 40 mph windproof wedding hair! Looking for more bridal hairstyle inspiration? We have MORE! Follow us on Instagram for daily bridal beauty inspiration.